En hel kartong med blandade släktbilder hittade jag i morfars förråd för ett tag sen. Många är skickade från Amerika till familjemedlemmarna som blev kvar i Sverige. Varje bild är ett konstverk i sig och gömmer en fantastisk historia som jag gärna skulle vilja höra. Tänk att jag är släkt med de allra flesta av de här människorna. I found a whole box of family photos in my grandfather's garage a while back. Many of them were sent from America to the family members who stayed behind in Sweden. Every photo is a piece of art in itself and harbors a fanastic story that I would love to hear. Can you believe that I am related to almost all of these people? These photos are amazing. I love old family photos. I love the variation in color of these black and white photos. What a rich family history. WHat a treasure! Old photos are the best. What a treasure! I love looking through old family photos too, especially when I'm visiting family in Norway. These are amazing! 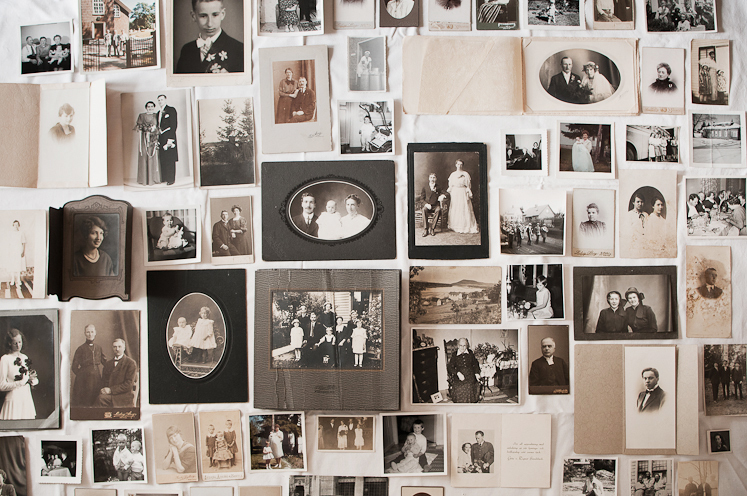 I love old photographs and I have a collection of my own family photographs as well as a lot I have not been able to resist buying in antique shops - even though they bear no relation to me! they are so, so beautiful. i was put off when i read the title "heritage and history" because at the moment my nose should be stuck in cultural studies books, focusing on all of these terms, but what a beautiful find, treasure them! WOW THAT'S SIMPLY AMAZING! you should scann them and make a book !! Ville bara säga att jag läser bloggen din dagligen och tycker den är grymt jäkla trevlig. Thumbs up! I have followed your blog for long. I love your color-blocking and photography. This is a veritable collection of images, your uncle on the last one resembles James Joyce. 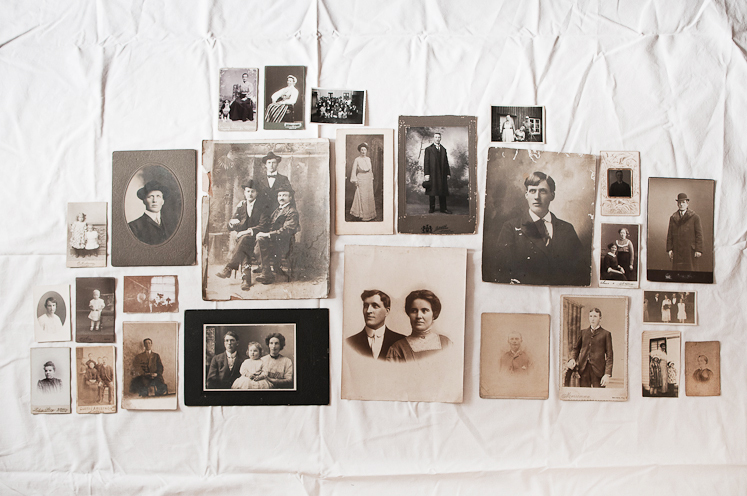 I have also become the care-taker for many old family photos-some as far back as the 1860s. Many of the pics aren't labeled and I have no how they are related to me. But, they are still so much fun to look at. Thanks for sharing. Absolutely amazing photographs. What a fantastic find. I hope you have been able to gather information about them. 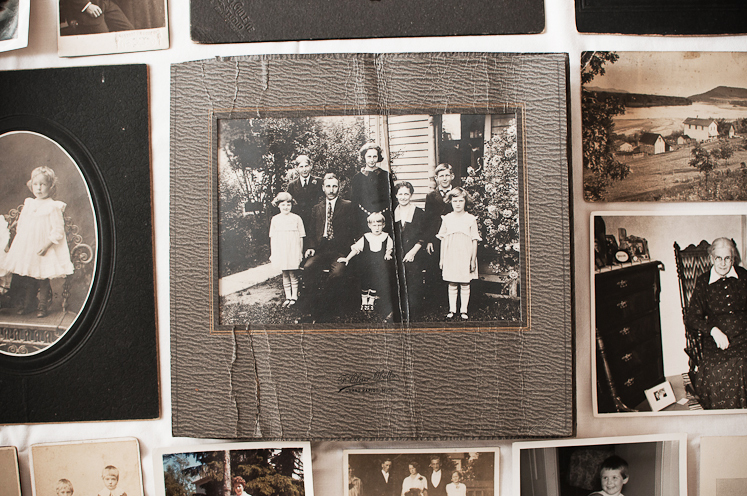 You definitely have the beginning for a very beautiful visual family history.